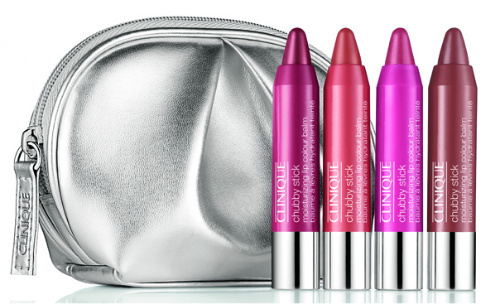 Introduced this spring, Clinique's Chubby Sticks were an instant hit and this Chubby Colour and Shine set (above, €40) includes four mini versions of their bestsellers, Woppin' Watermelon, Mega Melon, Super Strawberry and Whole Lotta Honey, in a silver makeup pouch. Gloss fans will love this Long Last Shine (€25) set featuring four mini longlasting glosses (the brand reckons you’ll get up to 8 hours wear), each with SPF 15. Includes Cabana Crush, Kissyfit, Air Kiss and Fireberry, in a silver makeup bag. Not sure if your lucky recipient is a gloss, balm or lipstick girl? Have it all with this Mix it up Kisses (€25) gift set, including two 4ml Superbalm Moisturising Glosses in Lilac and Grapefruit, two Mini Different Lipsticks in Raspberry Glaze and Glazed Berry, and two Long Last Glosswear SPF15 in Whisper and Juicy Apple. 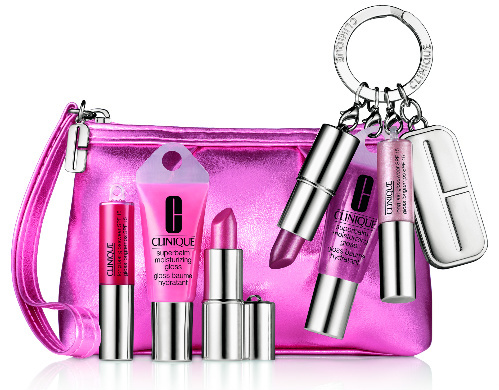 Comes in a pink makeup bag with a limited edition 'C' Charm Keyring. 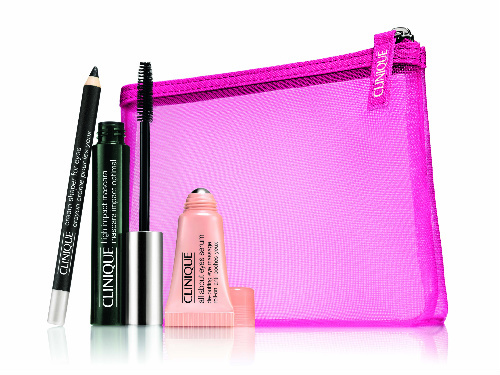 Last but not least this High Impact Lashes set (€32) comes with everything you need for party peepers: High Impact Mascara in Black, Cream Shaper For Eyes in Black Diamond and All About Eyes Serum De-Puffing Eye Massage, all housed in a pink makeup bag. All sets are available at Clinique counters nationwide or from the Clinique website - place your order before 12pm on Tuesday 20th December to ensure it gets there for Christmas! I love Clinque - I would happily take any of those home. Have a lovely weekend Emma. These sets look great, ive been wanting to try their chubby sticks for a while now! Aren't they adorable? And Sarah as luck would have it I just got the cherry one today and love it! Estee Clair Academy for Esthetics and Rejuvenation aims to provide training in the field of make-up to help you find careers as make-up artists in the Beauty and fashion industry. We aim to achieve this by offering a wide range of make-up courses from personal Make Up to professional make-up at various levels. I kinda hate the name...but! those chubby sticks are worth their weight in gold. They are so moisturizing and they have an awesome color selection! Love those chubby sticks and the keyring set, gorge! 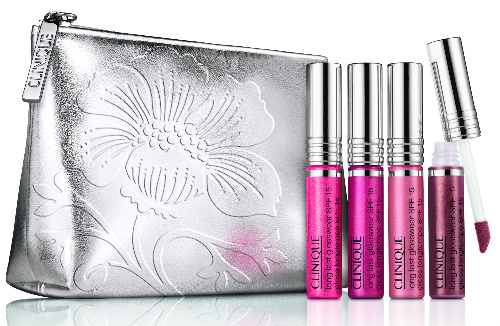 I really like clinique products, love the look of the almost lipstick - gorgeous colours. I like the look of the eyeliner and almost all lipstick!